Here we go again. Since launch, Destiny 2′s developers have bad to backtrack or apologize for an assortment of offenses, including throttling XP, locking previously-free content behind DLC, and exploitative loot boxes. You’d think Bungie would stop trying to sneak stuff past their players, but apparently, they haven’t learned their lesson just yet. Destiny 2’s latest Faction Rally event got underway earlier this week, and players quickly discovered Bungie had put a throttle on Faction Tokens. If you’re racking up too many tokens, they’ll simply stop appearing in chests, which is frustrating, since collecting tokens is the entire point of Faction Rally. Bungie explained they did this because some players were earning too many tokens, up to 500 an hour, during previous Faction Rallies. Okay, fine, but just cutting players off at a certain point is a pretty crude fix. 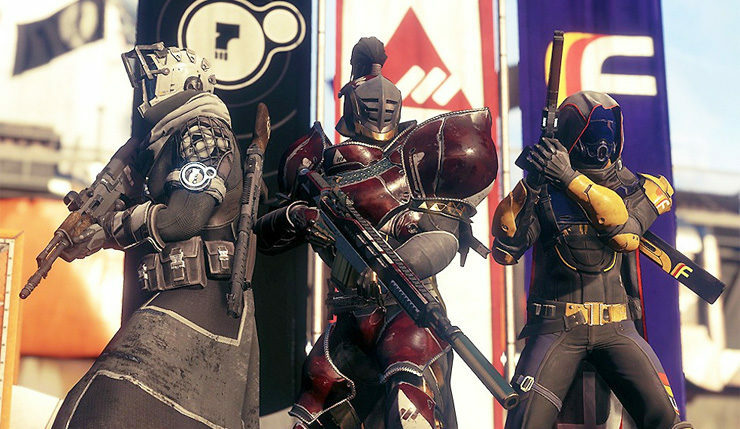 “There was an issue in the previous Faction Rallies where players were earning hundreds of Faction Tokens per hour without firing a single shot. In the recent December 12 update, Faction Tokens were added to an existing system that was locking players out from Lost Sector Rewards. Kudos to Bungie for owning up to their mistakes, but it’d be nice if they were just clear from the get-go. How many more fan backlashes is it going to take?